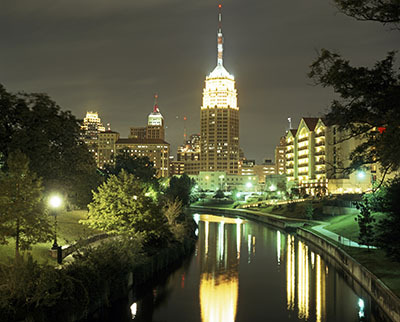 Hundreds of cancer researchers, health care providers, and survivor and patient advocates met in San Antonio, Texas this week for the AACR’s Cancer Health Disparities conference. Research has fueled significant progress against breast cancer—the overall five-year survival rate for female breast cancer patients in the United States is now 89 percent, compared with 63 percent in the early 1960s. Despite the progress, breast cancer outcomes vary among women of different races and ethnicities. For example, U.S. women of Hispanic origin are less likely to receive a breast cancer diagnosis than their non-Hispanic counterparts but are more likely to die from their disease, even when their age, cancer stage, and tumor characteristics are similar. There are a myriad of complex and interrelated reasons for the differences in breast cancer incidence and outcomes among U.S. Hispanics/Latinas and non-Hispanics. However, given that the Hispanic/Latino population is the largest and fastest-growing minority group in the U.S., it is clear that more research is needed if we are to address these breast cancer health disparities. To this end, two studies presented at this week’s 7th AACR Conference on the Science of Cancer Health Disparities in Racial/Ethnic Minorities and the Medically Underserved are particularly interesting. 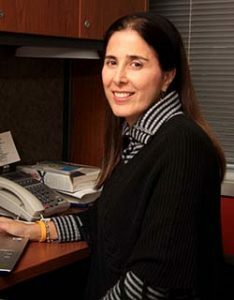 The first study, which was presented by Maria Elena Martinez, PhD, a professor at the University of California San Diego Moores Cancer Center in La Jolla, investigated risk factors for breast cancer among Hispanic women of Mexican descent, with the idea that more information about these factors could improve breast cancer prevention and outcomes for this population. 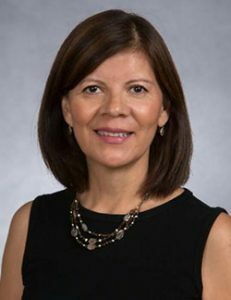 Martinez and her colleagues found that breast cancer patients of Mexican descent who had a family history of breast or ovarian cancer were almost twice as likely to have triple-negative breast cancer as other subtypes of breast cancer. The second study, which was presented by Patricia Chalela, DrPH, an assistant professor of epidemiology and biostatistics at The University of Texas (UT) Health Science Center at San Antonio, tested a new approach for increasing the participation of Hispanic/Latina women with breast cancer in clinical trials. She and her colleagues found that the proportion of Hispanic/Latina breast cancer patients taking steps toward participating in a clinical trial increased dramatically when they were provided with information about clinical trials in multiple ways, including a culturally sensitive, computer-based video on breast cancer clinical trials. These two studies are just a sample of the exciting research that is being conducted with the goal of reducing breast cancer health disparities for Hispanic/Latina women. They also illustrate some of the research into disparities in incidence and outcomes for Hispanics/Latinos across all cancer types, as Amelie G. Ramirez, DrPH, a professor at The UT Health Science Center at San Antonio, explained during an interview that aired last week on Texas Public Radio. Ramirez said that with cancer rates among the U.S. Hispanic/Latino population projected to rise by 142 percent over the next 20 years, advances are much needed. Earlier this year, to accelerate advances in all areas of cancer health disparities research, the American Association for Cancer Research, together with the American Cancer Society, the American Society of Clinical Oncology, and the National Cancer Institute, initiated a first-ever collaboration to guide future research that better addresses the disparities in healthcare access and outcomes that exist within many populations.